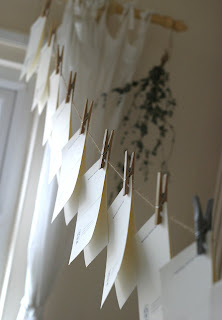 Preparations for H@ndmade Cambridge are in full swing here - there still seems to be lots to do! 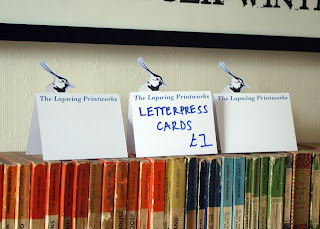 This morning I made new price labels to have on our stall - we put individual price labels on things like handmade books and prints, but we find it always helps to have big price labels standing on the table too. 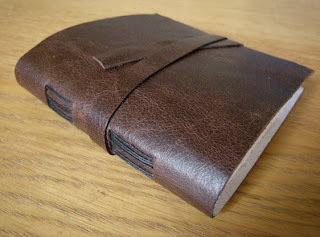 A short post this evening - we've had a busy few days, and a tad too much ginger wine... 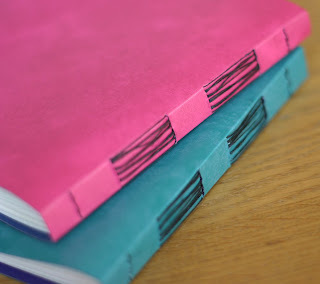 But I think it's safe to say that we'll have plenty of handmade goodies on our stalls at Clutter City tomorrow, and H@ndmade Cambridge next weekend! And some new prints too. Hooray! 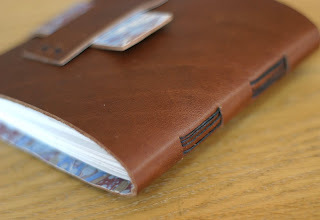 We have had a busy old week - engraving, printing and organising mostly. 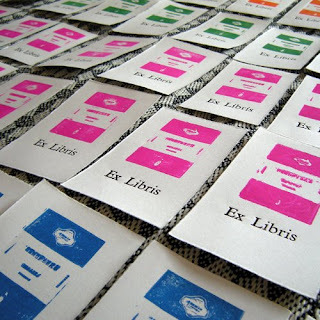 And a spot of letterpress too. 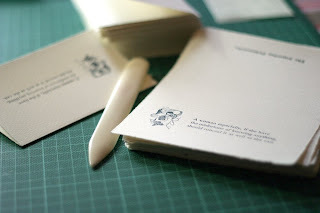 Remember the Pemberley notecards we printed ages ago? I always meant to make them into a series, so here is the next one - a nice quote from Northanger Abbey with a vintage block. We're hoping to perhaps print these tonight so the ink will have plenty of time to dry before the weekend, then tomorrow we have Jon's new engraving to print. 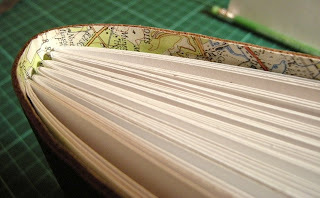 Otherwise, we have been busy working! 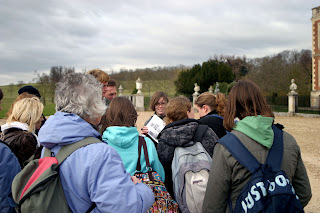 Here I am attempting to teach some students something useful at Wimpole Hall yesterday - they all seemed to enjoy themselves despite the downpours. 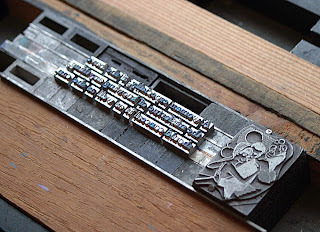 This weekend we are busy getting ready for the next Clutter City and H@ndmade Cambridge - Jon is working on a new engraving, and I've been letterpressing plenty of cards and notelets. 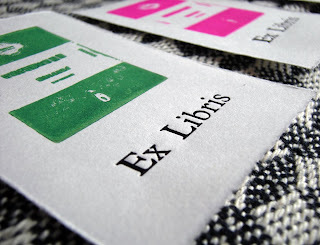 We've printed a batch of Penguin bookplates, and letterpressed 'Ex Libris' in black oil ink on the Adana. 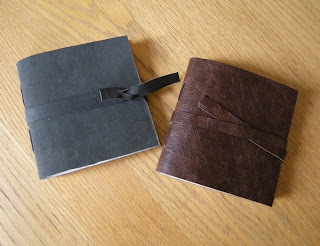 We popped out into Norwich yesterday to buy some leather offcuts from Norwich Art Supplies and Anglian Fashion Fabrics to make some more hand stitched books... We picked up lots of lovely brown leather, and a really gorgeous piece of soft grey suede. We've got plenty more to keep us busy over the next couple of weeks, including new prints! 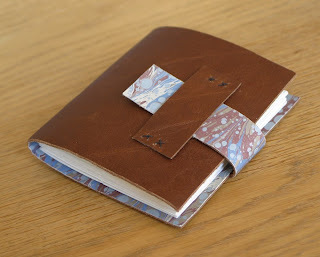 Last Saturday we went on a brilliant course run by a local bookbinder, Judith Ellis. 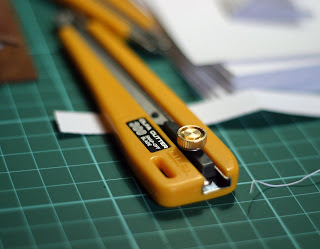 We learnt a technique called 'longstitch' binding, which doesn't require any glue. 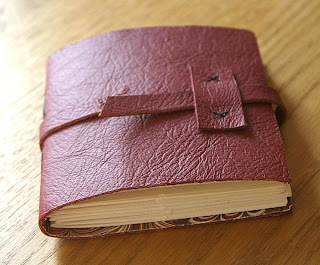 Jon used dark brown leather with a light blue marbled paper inside, and I used red leather with a matching red marbled paper. 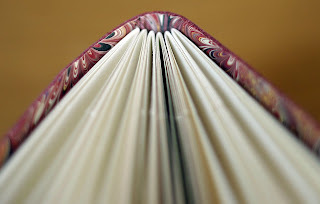 There are lots more examples of this type of binding on Flickr.